It doesn't really matter which low-calorie breakfast recipe you use. If you're not careful, there are some huge breakfast blunders that can ruin your diet. Use this guide to find a healthy breakfast recipe that you enjoy and then scan the list to make sure you're not making any common breakfast recipe mistakes. The Best 300-Calorie Breakfast for a Busy Morning: Start your day with eggs, oatmeal and a healthy green smoothie all for under 300 calories. This meal takes less than 10 minutes to make and it's cheap too! Easy Low-Calorie Breakfast Recipes: How about a berry and yogurt parfait? Or a savory ham and cheese omelet? Bookmark this list of low-calorie breakfast ideas and recipes. Do recognize the benefits of eating breakfast. If you eat a morning meal, you are less likely to indulge in a late morning snack. Breakfast skippers often end up binging on food from the vending machine or making poor food choices at a fast food restaurant. Don't think that your morning meal is a magic solution for weight loss. Eating breakfast does not improve your metabolism or have any other weight loss superpowers. The calories you consume at breakfast matter just as much as the calories you eat at every other meal. Don't go carb crazy. Many typical breakfast recipes, like those for oatmeal, pancakes or bagels, include too many "bad carbohydrates." A high-sugar, high-carb meal may leave you feeling hungry again soon after you eat. Do include a source of diet-friendly protein in your breakfast recipe. Egg whites, lean sausage products, Greek yogurt and other sources of protein will help you to feel full and satisfied for a longer period of time. Protein will also help you to build and maintain muscle to shape your figure and burn calories. Do choose whole grains when you're making your favorite breakfast recipe. Fiber-rich foods provide heart-healthy benefits and can help you to stick to your diet. Snacks and breakfast foods with fiber will help to curb hunger and help you to avoid late morning binge eating. Don't forget to count calories and measure portion sizes correctly no matter which breakfast recipe you prepare. Your calorie count for the day could be completely wrong if you eat more than a single serving of food at breakfast. Do eat a low-calorie/ low-sugar cereal if you're too busy to cook a warm and healthy breakfast. Cereal is quick, easy, and if you add skim milk and berries can provide plenty of nutrients. Don't just pour the cereal into a bowl; measure it first. Cereal is one of the most common foods we overeat. A single serving of most cereals is just one cup. Do enjoy a healthy low-calorie smoothie if you need to eat breakfast on the go. 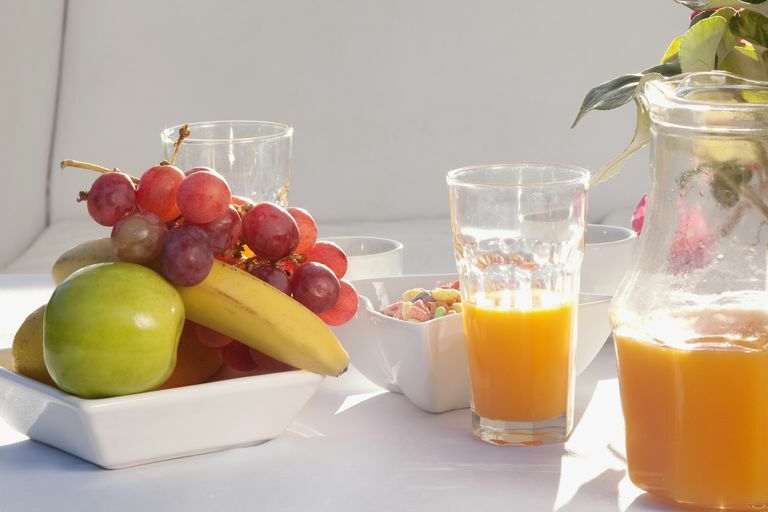 Include fresh fruit, yogurt, and other tasty ingredients to make a satisfying breakfast drink. Don't forget to measure the ingredients that you throw in the blender when you make a healthy breakfast smoothie. Popular smoothie ingredients, like honey and fruit juice, are often high in sugar and calories. Smoothies can easily turn into a high-calorie diet disaster if you don't watch what you throw in the mix. Do drink coffee in moderation if it perks you up in the morning. A cup of black coffee contains almost no calories. You can even make a diet-friendly low-calorie coffee drink at home. Don't go crazy at the local coffee house. Many coffee treats contain hundreds of calories and way too much fat. If you enjoy going to Starbucks or any other coffee spot, learn how to order a low-calorie coffee drink instead. Do eat organic foods and include them in your breakfast recipes if you prefer. Many consumers prefer to buy berries, grains and other produce that have been grown without pesticides. Don't make the mistake of overeating organic or health foods. Some studies have shown that people are more likely to overeat certain foods that they perceive to be healthy or that are labeled as organic. Remember that eating breakfast is a good habit to get into if you want to improve your eating habits and especially if you want to lose weight. But like any other meal, it's the quality of the ingredients and the number of calories that matters in the end.